Y'all...this is a game changer! To say that I like ranch is like saying Romeo kinda thought Juliet was cute. It is a true love affair, am obsession of epic proportion. Don't believe me? When I go to a restaurant and order something with ranch I first ask the server if the ranch is Hidden Valley. If there answer is yes, then I ask "is it the kind already in the bottle or is it the dry pack you make yourself? " If I get a look of puzzlement I then ask for a sample. If they say it is in the bottle, I ask to see the other salad dressing on the menu. If they say it is the kind they make on their own I ask "do you use buttermilk or sour cream"...you get the point...I don't like disappointment ESPECIALLY when it comes to condiments! Sooooooooo as my bestie Matt said in this #Whole30 process...I miss dipping things...I miss using a healthy carrot as a simple carrier to get more ranch in my mouth. I miss chicken wings doused in this delectable goodness! I needed it back in my life! 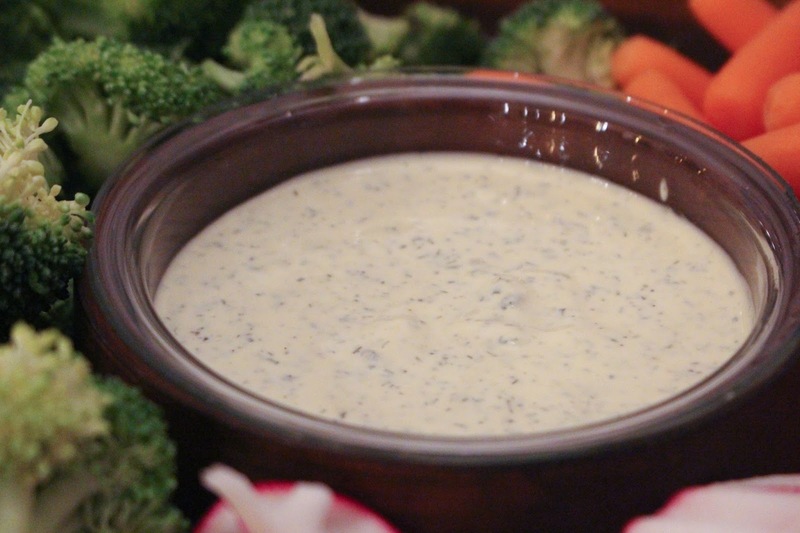 Alas my friends, I have found the perfect, and #whole30 compliant, recipe for homemade ranch....I will go so far as to even say that I will make this as my ranch of choice even after the #Whole30 is over! In a medium bowl, mix together all of the dry ingredients. Mix the dry ingredients with the mayo and add the vinegar, coconut milk and lemon juice. Best if left in the fridge overnight to settle. In a tall container, add the egg, lemon juice, mustard, salt, and lastly the olive oil. Put your immersion blender down to the bottom of the container before turning on. Then set it to high and blend for about 30 seconds before slowly lifting it to the surface of the mixture, and blend another 20 seconds or so or until completely creamy.